India’s Very Very Special VVS Laxman was known for his classy work with a bat in hand. He was one of the most watchable batsmen as his magical wrists did the talking. Even after his retirement, he does the talking with his assessment of the game. Recently, he has picked the best Test XI of India of the last 25 years for the English conditions. For ESPN Cricinfo, he came up with the XI that possesses an overwhelming strength. Virender Sehwag is his first choice as an opener as the Nawab of Najafgarh would make it to any Indian XI. To accompany him, Laxman picked Murali Vijay. This might come in as a surprise to a few going by Vijay’s recent failures. But the former Indian batsman picked Vijay for his temperament. Even though Vijay finds himself out of the side for the ongoing England series, he had performed exceptionally well in the 2014 series. Rahul Dravid and Sachin Tendulkar follow at No.3 and No.4 respectively. These 2 legends can be found in any cricket enthusiast’s XI let alone VVS Laxman. Virat Kohli makes the cut at N0.5. 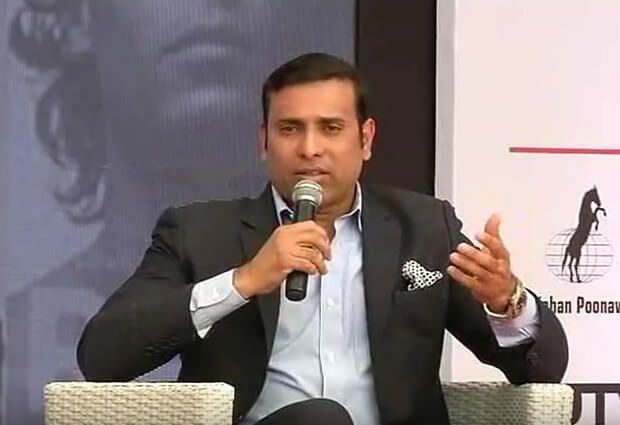 Laxman mentioned that the way Kohli made a comeback in the 2018 series having overcome the horrors of 2014 was remarkable. India’s former captain Sourav Ganguly has a tremendous record in England and it’s not a surprise that he features in Laxman’s XI as a captain. He had made his Test debut at Lord’s and scored a century first up. On every England tour that followed, he was consistently scoring big runs. Another former Indian Test captain MS Dhoni occupies the No.7 slot and was termed as the best Indian wicketkeeper ever by Laxman. The only spinner to feature in the line-up is Anil Kumble. India’s leading wicket-taker was a wonderful bowler regardless of the conditions. When it comes to performing in England, his solitary century of his career came in 2007 at the Oval. Bhuvneshwar Kumar’s heroics with the bat and ball in the 2014 tour hands him a spot in the XI. One of India’s best pacers Javagal Srinath also makes the team. The last spot was occupied by Zaheer Khan who was a brilliant swing bowler. His career took an upwards route when he played county cricket and then the pacer played a pivotal role in India’s victory in the 2007 Test series in England.